Not far from Tokyo and Kyoto on Japan’s main island of Honshu, the steep slopes of the Japan Alps are blessed with heavy snow falls due to the wet air moving off the Sea of Japan. Although Hokkaido’s ski slopes are more famous for powder snow, there is plenty to be had without leaving Honshu. The alpine town of Hakuba, surrounded by 9,000 foot peaks, is within easy reach of both Matsumoto and Nagano, and boasts some of the best ski runs on the mainland. There are an impressive number of resorts on the snowy slopes around the valley, and Hakuba played part host to the 1998 Winter Olympics. The vast area of Shiga Kogen is also within easy striking distance of Nagano, as well as being conveniently close to Japan’s famous snow monkeys. Shiga Kogen is known for early snowfalls, and, along with Hakuba, is popular all winter with skiers and snowboarders alike. Not far from Shiga Kogen, the small town of Nozawa Onsen is known for three things: hot springs, ski slopes, and a spectacular fire festival which takes place in mid-January. Nozawa Onsen offers the most uniquely Japanese experience of all of Japan’s skiing and snowboarding locations, both as Japan’s oldest ski resort and as one of the few owned by the town itself. While being unable to offer the variety that the resorts around Hakuba or Shiga Kogen can, Nozawa Onsen has a good number of runs, and enough snow to impress all but the most hardened skiers and snowboarders. 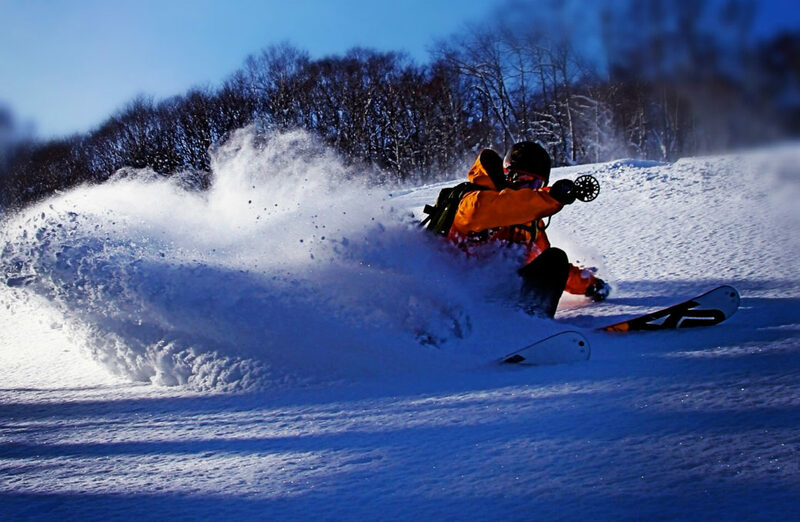 Into Japan Specialist Tours would be delighted to include skiing or snowboarding at any of Japan’s ski slopes as part of your tailor made holiday to Japan.